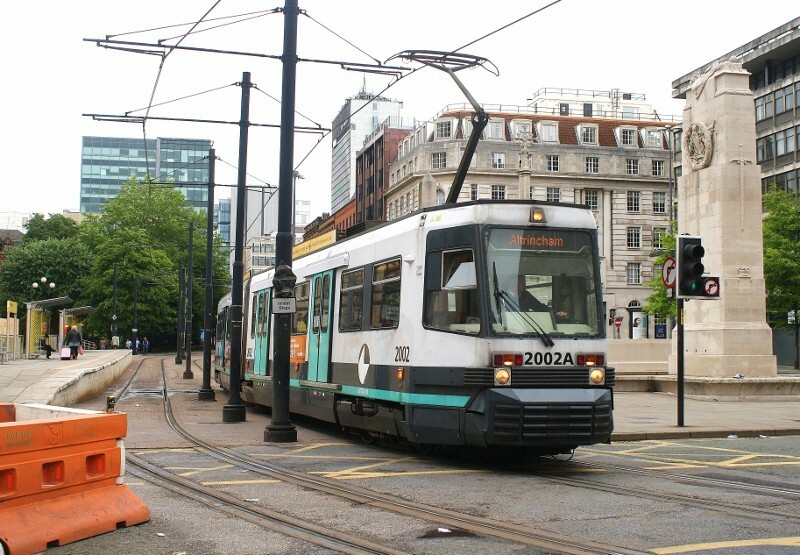 Martyn Hilbert's Railway Photography - 2011 - Metrolink 2002 - St Peters Square. Metrolink 2002 - St Peters Square. Metrolink T68a, 2002 departs from St Peters Square, and crosses the A34, St Peter Street with a Piccadilly to Altrincham service on the 29th May 2011. The Centotaph was designed by Sir Edwin Lutyens. There is a proposal to re-locate the Centotaph due to a second Metrolink line to be built through St Peters Square.